It’s February! 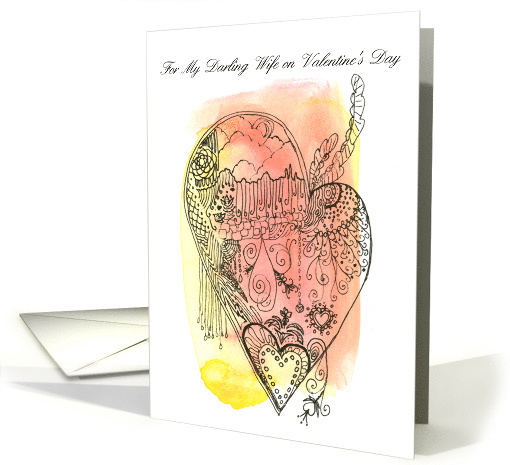 Here 12 terrific Valentine’s Day greeting cards to buy online from Greeting Card Universe. 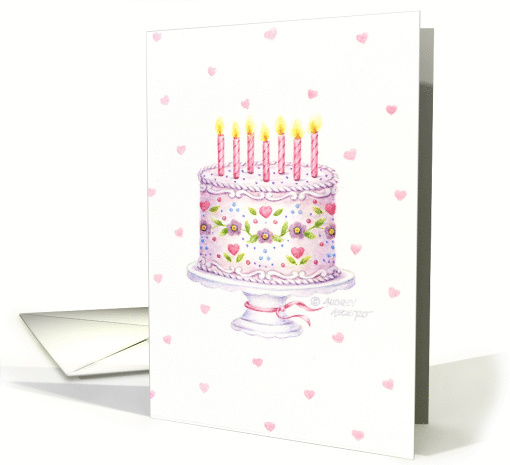 This first card, by Audry Ascenzo, features a beautifully illustrated birthday cake whimsically decorated with hearts, and flowers. 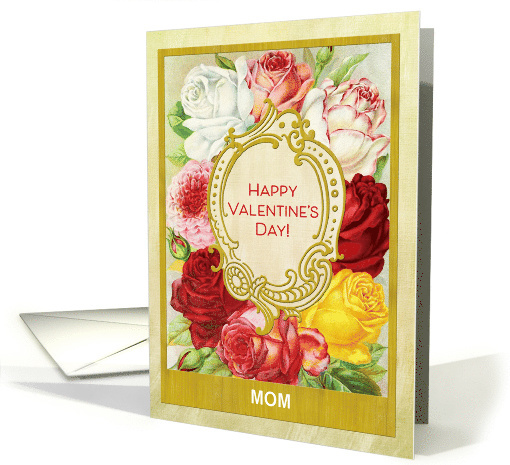 Third in the series is a traditional floral Valentine, a sweet bouquet with its greeting front and center. 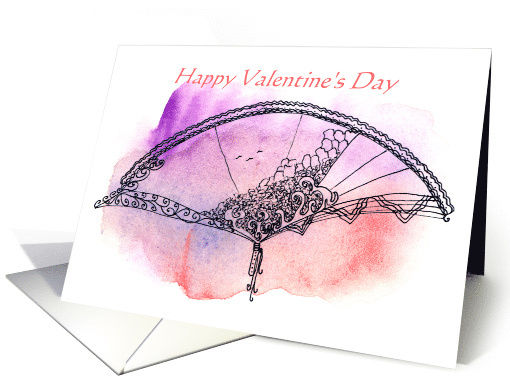 The artist is Joy Ellaga who has designed the card to be fully customizable inside and on the cover! 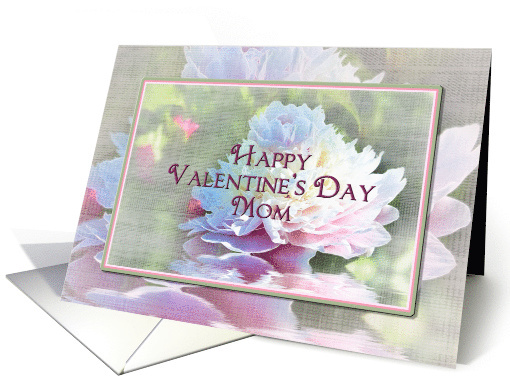 This next card is both beautiful and uses the unusual design concept of overlaying the painting of a huge peony overlaid on an enlatgement of the same flower. The greeting overlays that. And it works so well! The artist is Trudy Wilkerson. This is another one of my cards. 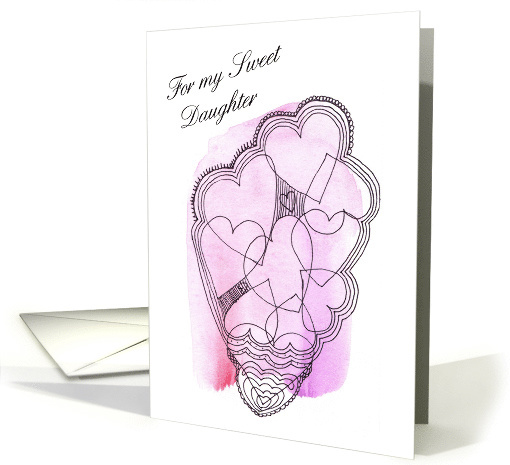 The pen and ink heart inspired zentangle-like design looks to me like an ice cream cone. 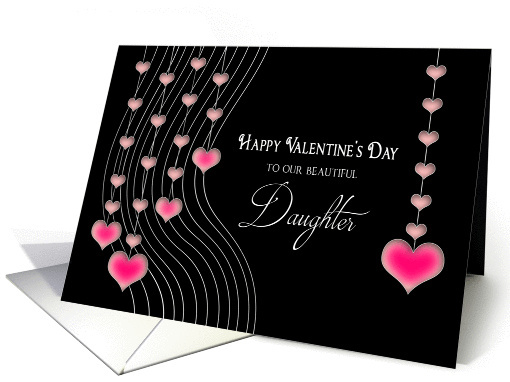 Here go a bit modern (maybe even a bit mid-century modern) with cheery pink hearts and white font on a perfect black background. The artist is again, Trudy Wilkerson. 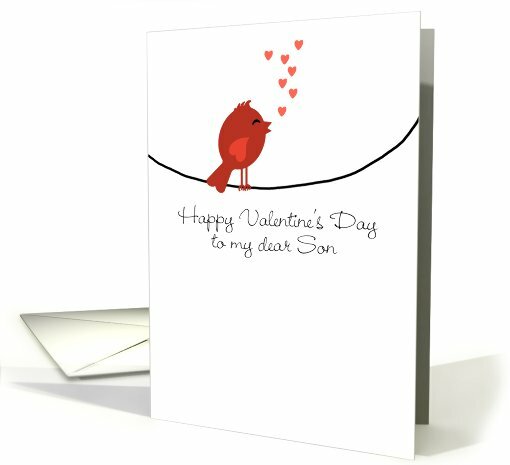 Herre is a wonderful card for your son! Happy bird tweets tiny hearts while resting on the electric line (or maybe it’s an old fashioned telegraph line?). I love the font artist Corrie Kuipers chose, don’t you? 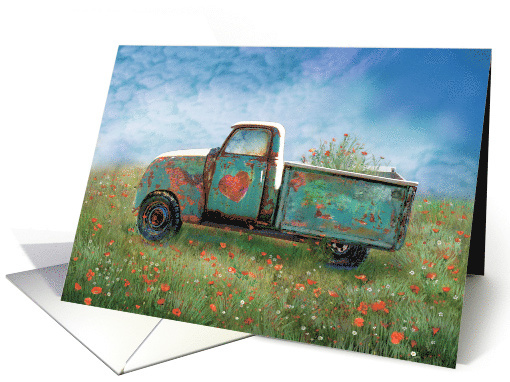 Artist Stephie McCarthy chooses a different perspective with her detailed painting of an old country truck with a heart painted on its door and flowers in its bed. 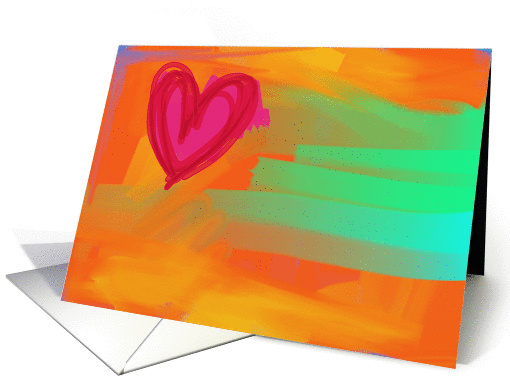 The artist is Cherie and the card is an abstraction of a Valentine on a brightly hued background in colors you don’t often see in a Valentine’s Day card. I love how the oranges and lime greens just pop out at you! But why not totally abstract? 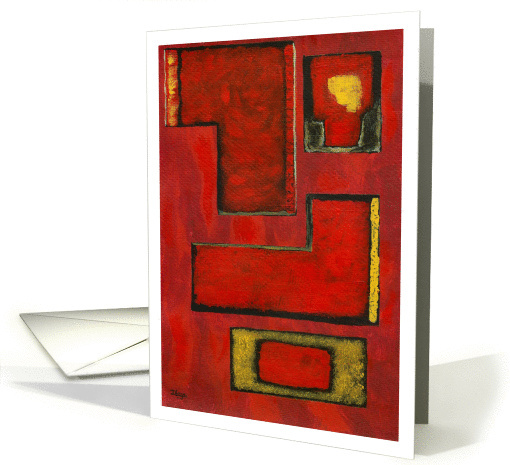 ThAt’s what Itaya Lightbourne does with this classic abstract painting in brilliant red (with touches of golden yellow and greyish black. 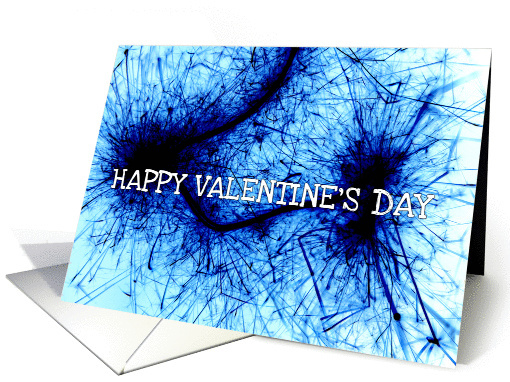 Digital Art by Monica Palermo insists Valentine’s Day greetings can be made using blue, and she is very convincing. 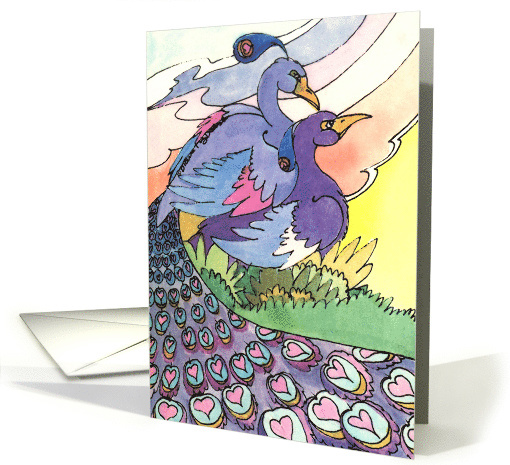 diana Ting Delosh takes us back to figurative art with this colorful greeting card featuring a pair of peacocks. It’s stunning! Last is another of my own cards, this is one of my cards focusing people with dementia. Please don’t forget about your loved one who has dementia. A card is sure to gain you at least a smile. This entry was posted on Thursday, February 7th, 2019 at 12:59 PM	and is filed under Art Talk. You can follow any responses to this entry through the RSS 2.0 feed. You can leave a response, or trackback from your own site.